Springmaid II, acrylic on panel, 16x16" Sold. 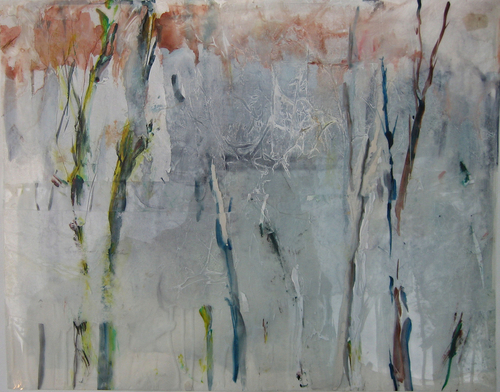 This painting won "The Glenn Bradshaw Award"
And in October, 2012 won the $1000. 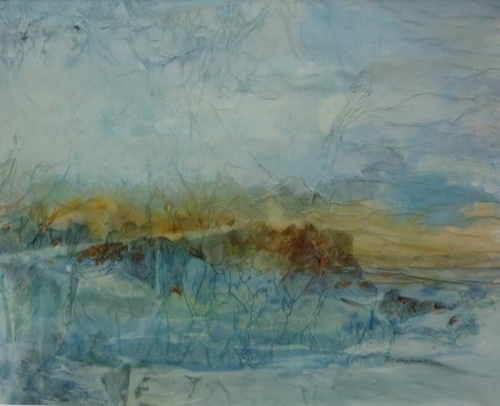 award from the Garden State Watercolor Society in their juried show. 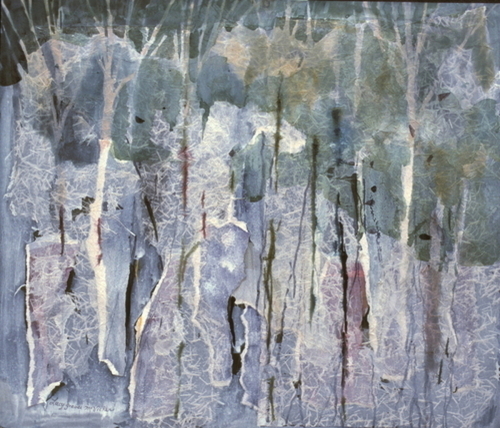 Mixed media on Strathmore paper I took a trip to the Pine Barrens, and saw a forest of cedars. Perhaps you can't see them under the snow, but look carefully. 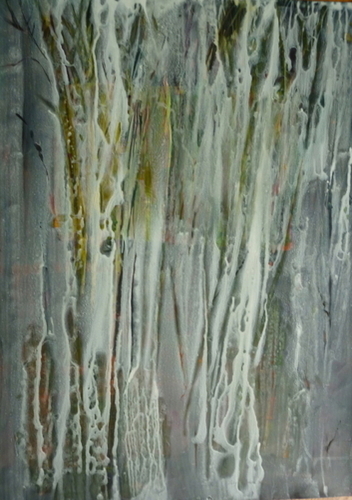 A new painting, never before shown. 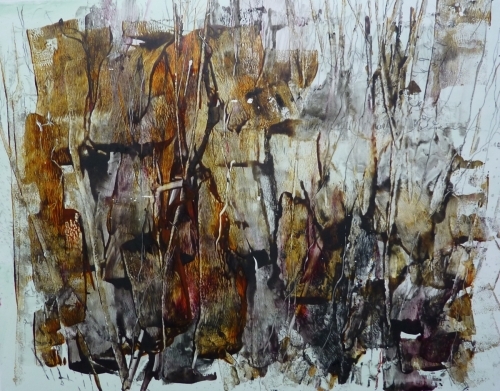 Mixed media on paper. 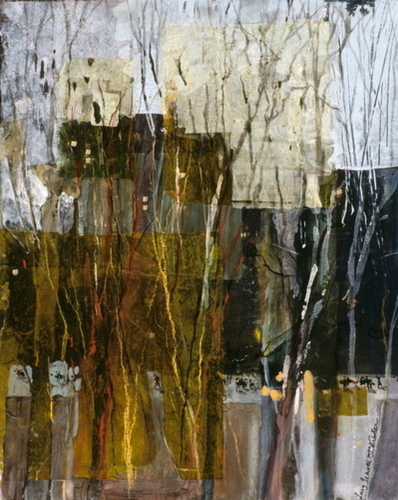 This painting was accepted into a national juried show in Glendale, CA 2004. Sold. 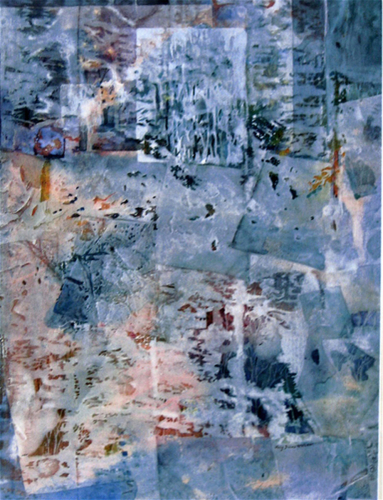 Watermedia on paper with rice paper collage. 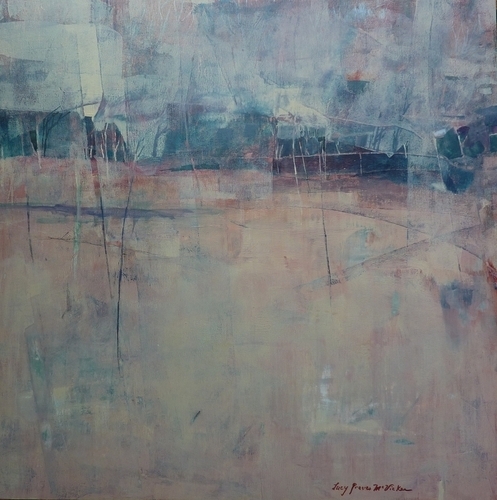 This painting was on exhibit in a two person show at the Rider University Art Gallery. Sold. 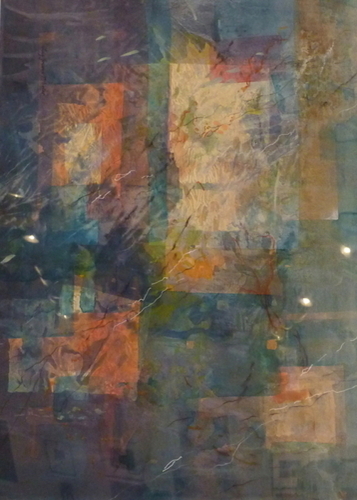 Mixed media with rice paper on mylar. 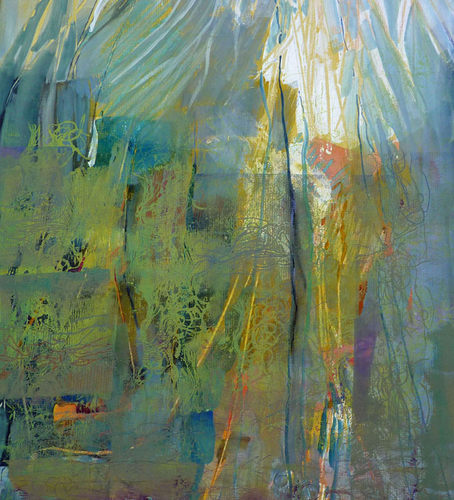 This painting was accepted into the annual juried show at Phillips Mill, New Hope, Pennsylvania in 2009. Sold. 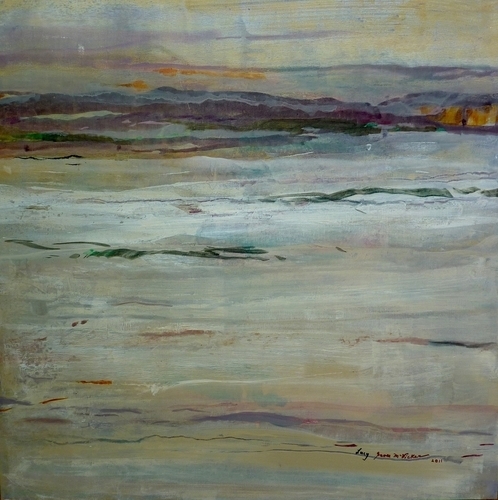 Acrylic on panel, 16x16", 2011 Sold. 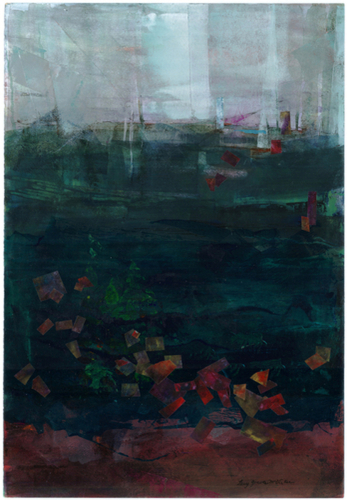 Mixed media on board, 17x17", 2011. 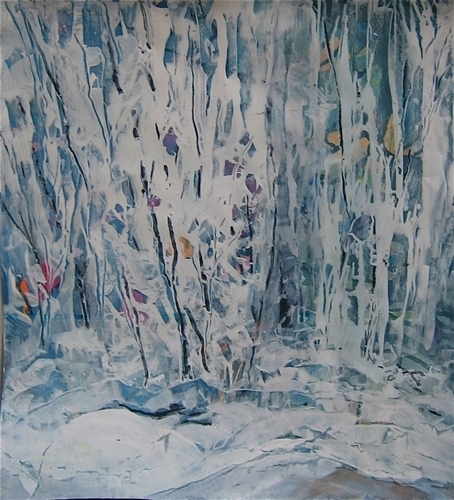 This painting won an award in The 2011 Garden State Watercolor Society's Open Juried show at the D&R Greenway. 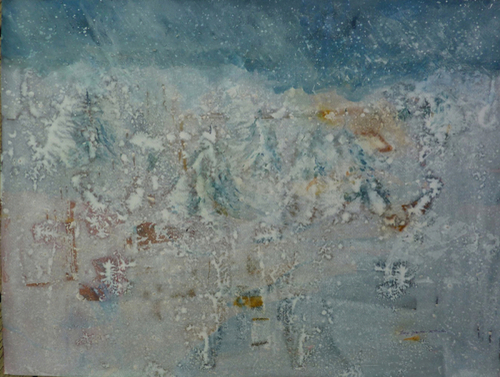 This started out as a watercolor of the pine trees on Monhegan Island, Maine, but then it snowed . . .